Ever heard of the mtn affiliate programme? It’s very simple because you actually make money selling airtime in 2018 via this mtn program. But before i take you through the steps in making money I�d like to show you what affiliate marketing actually is. Affiliate Marketing is one of the best ways to make money online in Nigeria and outside Nigeria. You find a product that is created already: I call this a �done for you� product; you don’t need to have your own products. That�s just a simple definition of what affiliate marketing really is. You pick a product people are looking to buy, promote it to those people. They buy and you� make commission from the promotion/sale. So what’s up with the Mtn Affiliate? MTN just introduced an affiliate programme that earns you around 2% per sale. How to Signup for Mtn Affiliate Programme Also referred to as the 2018 Wallet. This program is referred to as the 2018 Wallet. Let me give you a brief overview of this wallet. 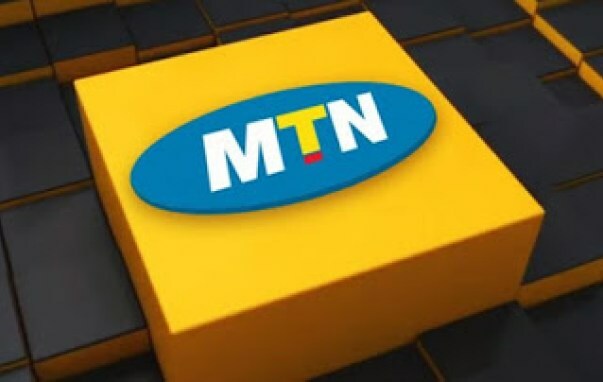 This is a new service from the Giant Network MTN� and is called the MTN wallet, given a special USSD code 2018. Its a kind of wallet where you can fund with some money and from that money you sell airtel and mtn airtime to people and earn commission unlimitedly. The service is actually powered by TrustVas, a reputable company. So How to Make Money with the Affiliate Program? Like I said above, you need to signup, fund your 2018 wallet and start selling airtime. Follow the below simple steps to register easily and fast. Registration is as simple as ABC. From your MTN Line, Dial *2018# and you’d be displayed with a Menu. Just follow the instructions in the Menu to register your account. You will be asked to put a 4 digit pin too, just put something you can remember. Step 2: Fund your 2018 Wallet. Yes, after registration is successful, mtn will send you a message letting you know that you can now sell airtime to MTN and Airtel users and earn commission. This is the most important step because without this you can’t sell airtime. so in order to fund your wallet to make commission, you’d be needing a Gtbank Account. Below is how to fund your 2018 wallet easily and fast. Your Line will be credited immediately/instantly. What if you don’t have a GTbank Account? You can meet a friend who uses a gt bank account and he would help use thesame code above, to fund your wallet. According to MTN, they would be adding more banks in the future. This is how to fund your 2018wallet right away and start making money. Step 3: Play with the Menu Options. Now you can easily dial the *2018# code and play with the options, such as checking your wallet balance, selling airtime to both MTN and Airtel users etc. You earn 1.5% for airtime you sell to your own line. The program is cool, but not one you can depend on for a living. If you really want to make money online in Nigeria, you should checkout the post on earning without spending a dime. Now you know how the mtn affiliate programme works and how you can make commission from just selling airtime from home. If you love this post? do share it with your friends on facebook, might be something they are looking for as well. Good information. Affiliate marketing is the way to go. You can start with as low as N5000 to the best of my knowledge. Timely information,you’ll prosper very well my brother. please kindly suggest to me some recharge card dealer in the country esp. in the east. I understand you well mtn is a reputable company in Nigeria and you & I know that. Pls how do I sell airtime to someone faraway n he/she needs airtime of #200 hw do I collect the money.